Why I come to this workshop? My reason were gaining more knowledge, improve my interview skills and do research on the deaf participants if what they like to want for their future job when they graduated? The workshop on employement for Deaf was organised by Challenges. This aim workshop is to teach you essential CV & Interview skills. It will help you gain the edge in an increasingly competitive job market. The deaf participants discussed proper interview attire, how to prepare for an interview, difficult questions that might be encountered, as well as answering questions they had. They have to understand what is an important about the interview skills. 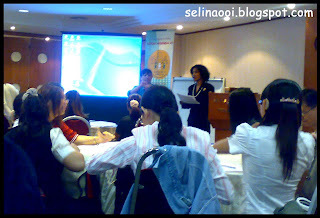 They like to learn more about how to prepare themselves for their interview...Many essential interview tips and techniques can help them to handle what/how they do when they are in the interview room~! 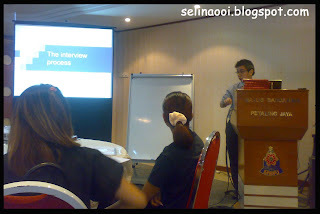 I really like the presentation 'interview skills' by Mr.Mehan. It can help to make the deaf participant understand who are yourself? what you do today? what you want for your own future? It make they have to understand what it is meaning in the pictures when they see the picture provided by Mr. Mehan. He asked us about what is our key of strengthen? what they have different of type talents - idea related talents? data related talents? etc.. It make me remembered that what I love to read about the principle philosophy of life - the idea show the individual human beings have to choose what choice they have now - how they are to live? , what is an important thing that they want to seek in their life? and what actions they want to do for tomorrow? It is important to keep positive thinking and you better to believe in yourself if you can do~ You must to show how smart you are, and what they can do with your job. :) Don't give up so easily! I hope you all can pass your interview to get the success job~! *I heard that new workshop will coming in August or December. You really like it? Don't worry, Challenges will inform us soon!